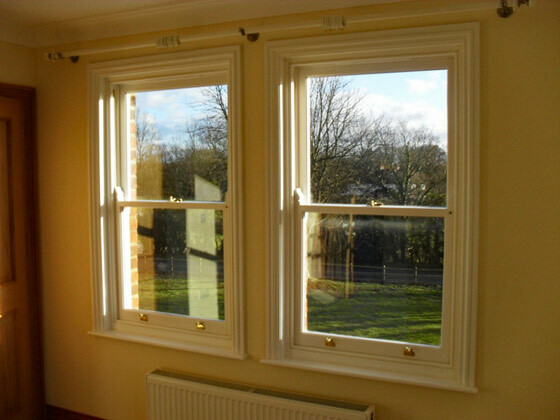 At Spittlywood we have a passion for period wooden windows, over the last ten years, we have been fortunate enough to either refurbish or create numerous Sash Windows in Kent. Many period, rural homes, and seaside properties across the county feature the enduring and beautiful sash window. Sashes have been a feature of many British homes since the 17th century. When dealing with listed buildings featuring this type of window our team will always try to renovate or repair the existing Sash. Throughout the years we have worked on several conservation projects in the south-east including the well-known Wellington Square in Hastings. Should renovation be out of the question, our team will craft new Sashes using traditional bespoke joinery, the use of time honoured techniques allows our team recreate near exact copies of your period Sash Windows. When creating your existing windows from scratch, our team can produce several glazing styles including double glazing or old style traditional crown glass. 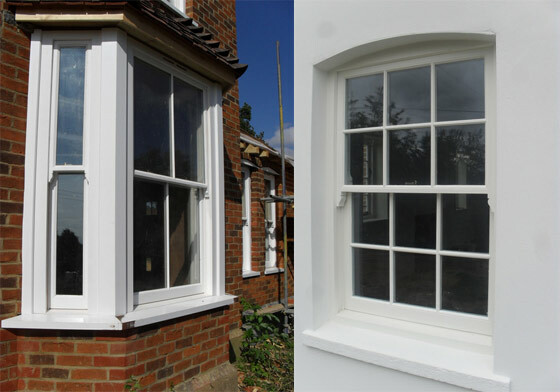 Finally, your Sash Windows in Kent will be expertly painted, stained or lacquered to compliment their original period or in keeping with the current look and style of your home. We have worked hard to gain our reputation as Sash Window experts and will do all we can to ensure that your experience of our business is a good one, the quality your installation will be second to none. If you are in need of wooden sash window repair’s, refurbishment’s or would like to talk to us about creating an original design, please feel free to get in touch, a member of the team will be happy to talk you through our process and answer any questions you may have. You can view examples of our bespoke sash windows by heading over to our window gallery.